The value of a personal note is priceless, and optimizing that connection with your customers can mean the difference between getting lost in all the marketing noise and helping your company stand out to your valued customers. Automatic thank you cards can make that communication process infinitely easier — and with a more systematic, planned effort. 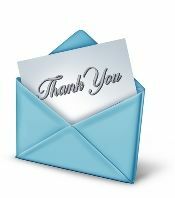 Interacting with your existing customers in a personal way helps you emerge from the crowd of “white noise.” And a thank you card doesn’t look like marketing materials, decreasing the risk that the recipient will simply toss it in the trash. In fact, studies show that personalized cards have a high rate of success: People will open them 99 percent of the time. That’s an unbelievable return rate. And a personalized card establishes a connection with your customers emotionally, as well as increasing your brand awareness. Thank you cards are also flexible. You can use them after a sale and include a discount coupon, a flyer informing your customers of a future promotion, a brief customer satisfaction survey or a referral form. You can use technology to support this personal-touch approach with your customers, streamlining your strategy and saving you lots of time. An automated program allows you to set up a variety of communication touch points in a systematic and time-sensitive way. And once it’s set up, the program does all the work. They save you time, and time is money. If you include a response mechanism, you will receive valuable information about what your customers want. It’s a low-cost way for small businesses to enhance marketing efforts. It increases customer loyalty and brand awareness. Think automatic thank you cards are just what your business needs to inject some life into your marketing strategy? If you’re ready to take your approach to marketing to the next level, contact Continuity Programs and ask about our complete line of turn-key solutions to generate leads, keep your customers connected — and increase your bottom line. Thank you card image via Shutterstock.